His elegant singing, with its roots in the most genuine bel-canto, has made the Spanish singer one of the most courted tenors on the international opera scene. His impressive high notes and homogeneous voice with remarkable projection join with an impeccable and elegant line, giving him the opportunity to gradually widen his repertoire. Celso Albelo was born in Santa Cruz in Tenerife and trained at the Conservatoire in his home town with Isabel García Soto until he moved to Madrid to continue studying with Tom Krause and Manuel Cid at the Escuela Superior de Canto Reina Sofía before being accepted at the Busseto Academy (Italy), where he perfected his art with the great Carlo Bergonzi. His international career has taken him to the most prestigious opera houses in the world, from the New York Metropolitan to La Scala in Milan, as well as the Vienna Staatsoper, the Berlin Deutsche Oper, the Bolshoi Theatre in Moscow, the Royal Opera House in London, the Gran Teatre del Liceu in Barcelona, the Teatro Real in Madrid, the Paris Opéra National, the Neapolitan Teatro San Carlo, the Fenice in Venice and the Massimo in Palermo, among many others in Italy, Spain, Germany, Japan, China, Switzerland, Belgium, France, Monte-Carlo and Chile. His career was launched in 2006 with the Duke of Mantua in Rigoletto (Verdi) in Busseto, the cradle of Verdi operas. He has also sung a large amount of his repertoire in festivals such as the Sferisterio in Macerata, Maggio Musicale Fiorentino, the Rossini Opera Festival in Pesaro, the Terme di Caracalla Festival in Rome, the Castell de Peralada Festival in Spain, the Solothurn Classics Open Air Festival, Savonlinna Festival, the London Proms and at Baden-Baden Festspielehaus. In Spain he is regularly invited to sing in cities such as Bilbao, Santa Cruz in Tenerife, Las Palmas de Gran Canary, A Coruña, Seville, Oviedo, Valencia and Mahón. Currently he has more than 25 roles in his repertoire, especially from operas by Donizetti, Bellini, Rossini and Verdi. Very much loved and respected in the Far East, one of his tours of Japan in a Bologna Teatro Comunale production was awarded a prize by the magazine Ongakunotomo. He has also been named Honorary Artistic Consultant alongside artists such as Anne-Sophie Mutter and Vladimir Ashkenazy by the Guangzhou Opera in Canton, China. He has given recitals and concerts in the most prestigious auditoria in Spain, Japan, USA, Belgium, Italy, the Netherlands and England and he has collaborated with conductors such as Antonio Pappano, Zubin Mehta, Daniel Harding, Daniel Oren, Alberto Zedda, Nello Santi, Rafael Frühbeck de Burgos, Carlo Rizzi, Evelino Pidò and Riccardo Frizza. 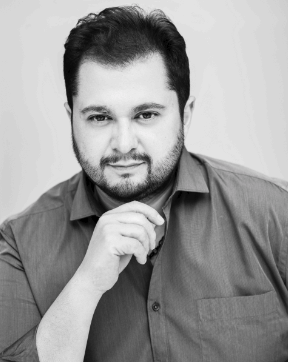 He has been awarded the 2008 Ópera Actual Prize, the Oscar della Lirica at the International Opera Awards at the Arena di Verona (in 2010 and 2012), the Teatro Campoamor Opera Prize for Best Newcomer (2010) and Best Singer of the Season (2012), the Giuseppe Lugo Prize in Italy (2013), the Codalario Magazine Prize (2014) and the Taburiente Award (2017). In 2013 he was decorated with the Canary Island Golden Medal by the Island Government, in 2015 he was named Sabandeño de Oro and in 2016 Favourite Son by the La Laguna Council (Canary Islands).